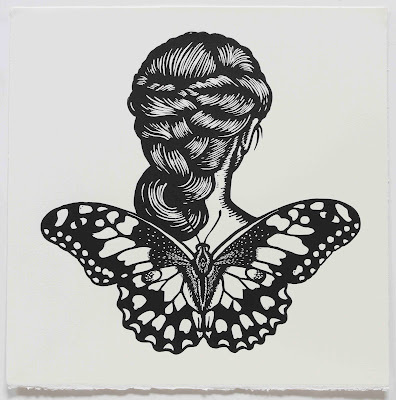 Chequered Swallowtail Winged Woman is one of 8 Winged Women that are included in the exhibition Contemporary + Collectable Australian Printmakers at Metropolis Gallery in Geelong. Anna Austin, Dean Bowen, Jazmina Cininas, Robert Clinch, Madeleine Goodwolf, Nicholas Goodwolf, Graham Fransella, David Frazer, Rew Hanks, Deborah Klein, Damon Kowarsky, Clare Whitney and Deborah Williams. The opening is from 5-7 pm, Saturday, 16 July. Jackie Hocking, Gallery Manager, Australian Print Workshop, Melbourne will launch the show. Exhibition dates are 16 – 30 July.